He’s not known as “the cheese grater” for nothing. 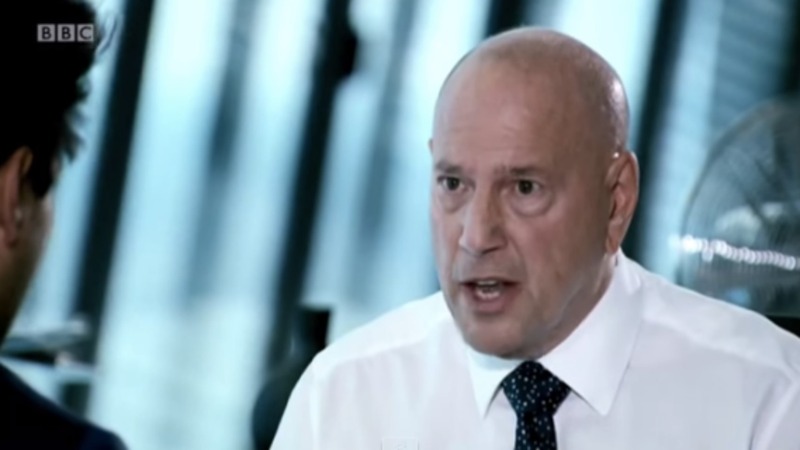 For 10 years Claude Littner has been an integral part of The Apprentice, scaring the bejesus out of Alan Sugar’s wannabe business partners and generally making them feel like total losers (even those who go on to win the show). His efforts have clearly paid off as the BBC has announced that he is to take a seat at the boardroom table by Lord Sugar’s side from the next series. Littner will replace 71-year Nick Hewer, who is leaving the show after 10 years as Sir Alan’s trusty sidekick. For those who have grown a bit weary of The Apprentice in recent years — too many of the candidates seem to crave a life of celebrity and/or controversy rather than a business partner — Littner’s new role is sure to mix things up a little. Littner hardly looks like the soft and fluffy sort and anyone who’s watched the interview stage of the show will know just how formidable he can be. The Apprentice returns to BBC1 later this year. Was This Morning‘s Phillip Schofield too harsh on 30-stone burlesque model?